I was going to skip Masterpieces. This is the triple-LP greatest hits collection that Columbia issued in Australia, New Zealand, and Japan in March 1978 in anticipation of his tour there. There’s not much for me to say because I don’t actually own it (I did see a copy in January at a used record store, but I don’t own a turntable and it seemed odd to pay collector’s prices for an album that I can’t play and which I have all the music anyway, so I passed). What I can say is that it’s a terrific Greatest Hits package in terms of song selection. Thirty-nine tracks, and almost every one a winner. Probably a much better package than the two American Greatest Hits collections, which also amount to three LPs. Anyway, I was going to pass, but in googling around I was reminded of this site. These people (it can’t be one person, can it?) 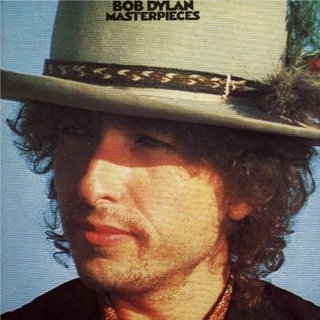 trace the different versions of everything Dylan has ever done. I mean, ever done. This site is incredible. They have scans and photos of the labels from the various releases. They have pictures of the cassette tapes! This is a level of obsession that I can admire, but that this project hasn’t even come close to touching. This is the work of a lifetime, not a year. This is close, attentive listening to bootlegs and studio outtakes to identify minor technical differences. 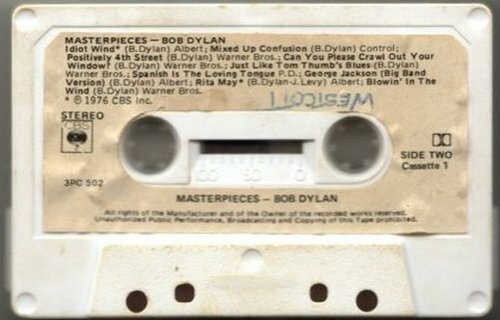 R-0145-3 Mixed Up Confusion, 1962 – out-take from The Freewheelin’ Bob Dylan, recorded at Columbia Studios, New York, 1 Nov 1962 (take 10), and overdubbed with different backing, probably on 8 Dec 1964. It is therefore not Bob’s first single R-0007 (see 1962) as expected, but the alternate take without the first harmonica solo from the Japanese promo LP Mr. D’s Collection # 1 (see 1974) and promo EP, Mr. D’s Collection #2 (see 1976). This is Side 3, track 1. As on those other releases, it is a mono mix of the overdub take. I can’t compete with this. Hell, I can only barely comprehend it! It’s all a bit too much for me, I’m afraid. 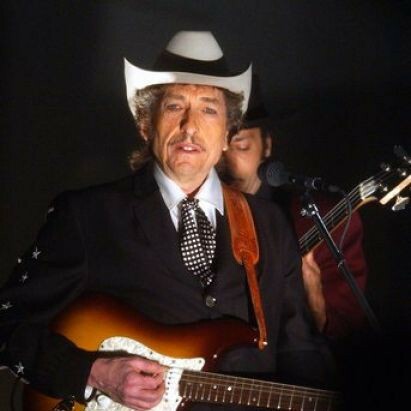 That’s a great site–I’m delighted to hear that Dylan (may) be doing a cover of The Beatles’ “For No One” on a tribute album (not my absolute favorite song on that album, but now I want to hear Dylan do it). And now I also want him to do “I Want To Tell You”. . .